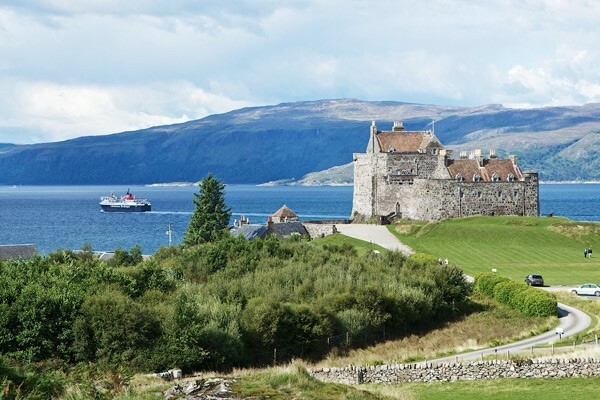 Standing on one of the most spectacular and unique sites on the West Coast of Scotland, the position of Duart Castle was well chosen and is visible to all those making the trip by ferry from Oban to Craigure on Mull. Home to the Clan Maclean for centuries, Duart was part of a chain of castles up the Sound of Mull and was originally simply a rectangular wall enclosing a courtyard. Throughout its history these simple beginnings were added to, however in 1691 the Macleans surrendered Duart and all their lands on Mull to the Duke of Argyll and although by then in a fairly ruinous condition, it was used as a garrison for Government troops until 1751. 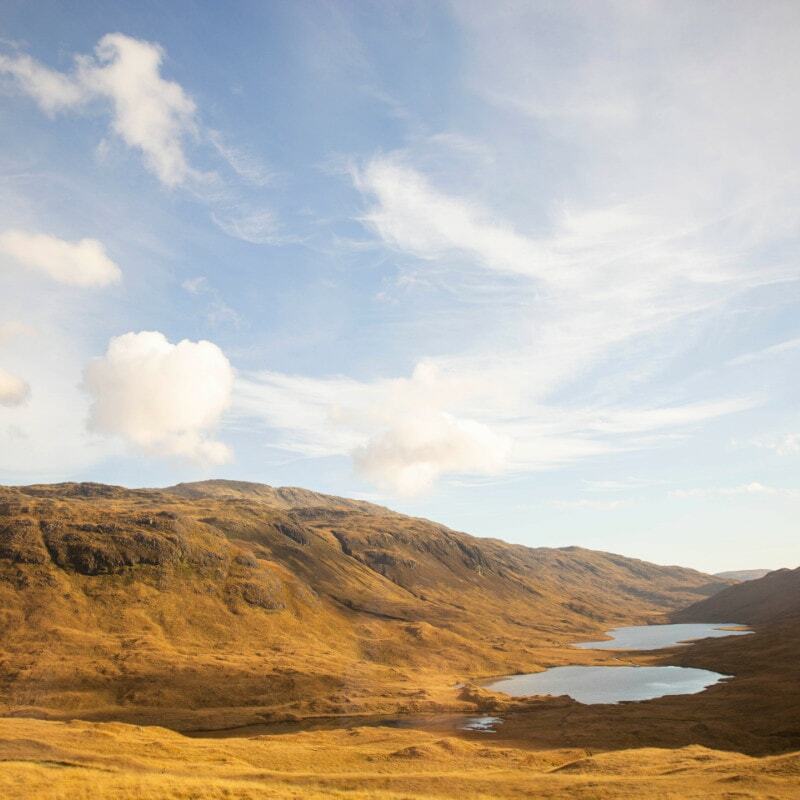 It was then abandoned until 1910 when it was purchased by Sir Fitzroy Maclean, 26th Chief. 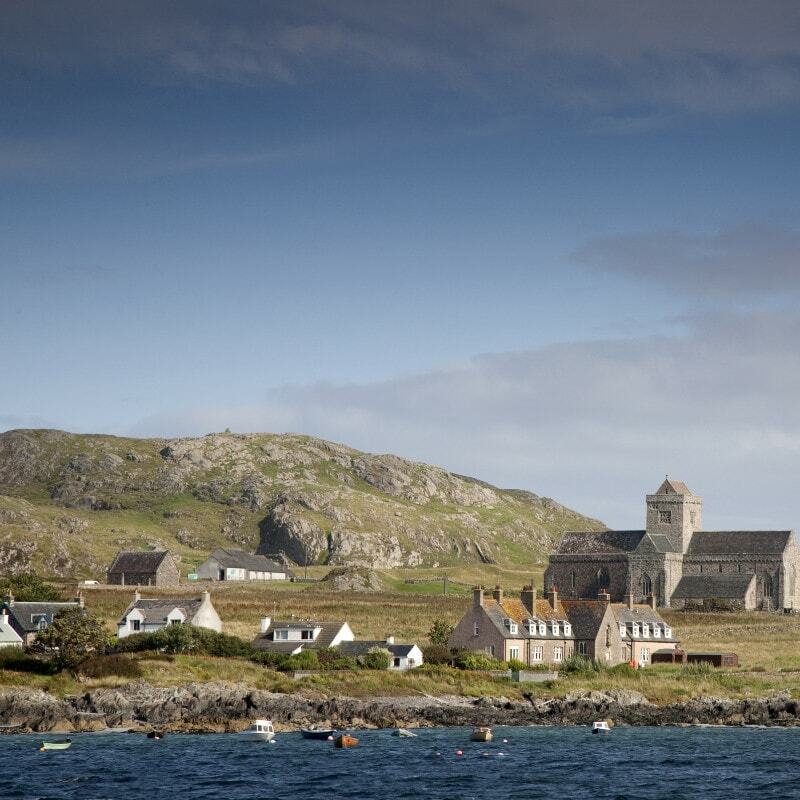 He then set about the enormous task of restoring the building which was the first stage of a process that continues to this day through the efforts of Sir Lachlan Maclean, the present Clan Chief. Duart Castle is now open to visitors from April through to October and is great for all the family with a range of events and children’s activities. 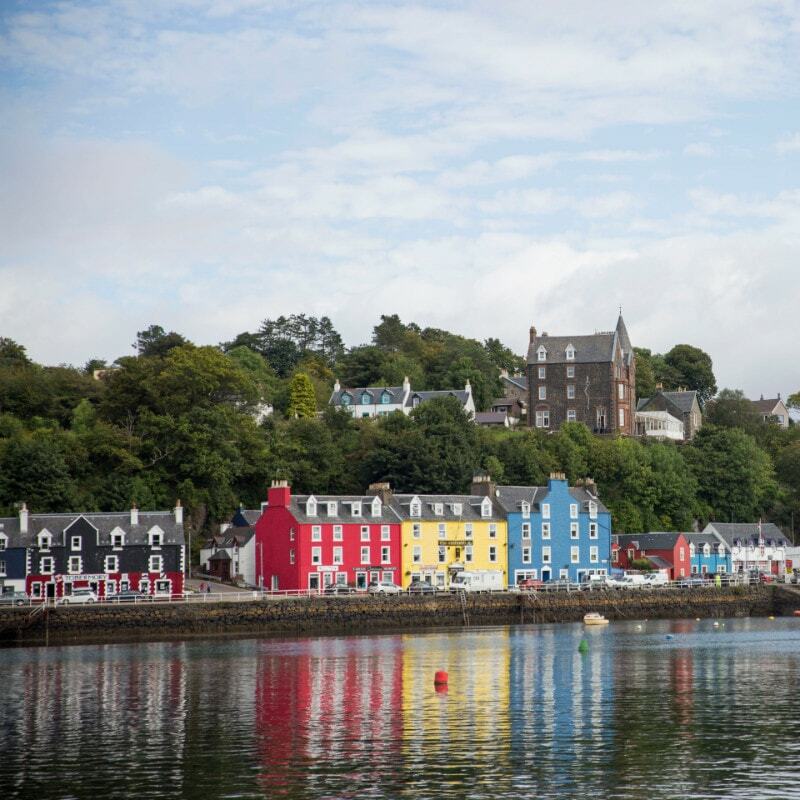 Combine a visit with our Tobermory Topper joint ticket which includes bus transfers to the castle, entrance and a return ticket to Tobermory from Craignure on the Topper service to maximise your visit to Mull. 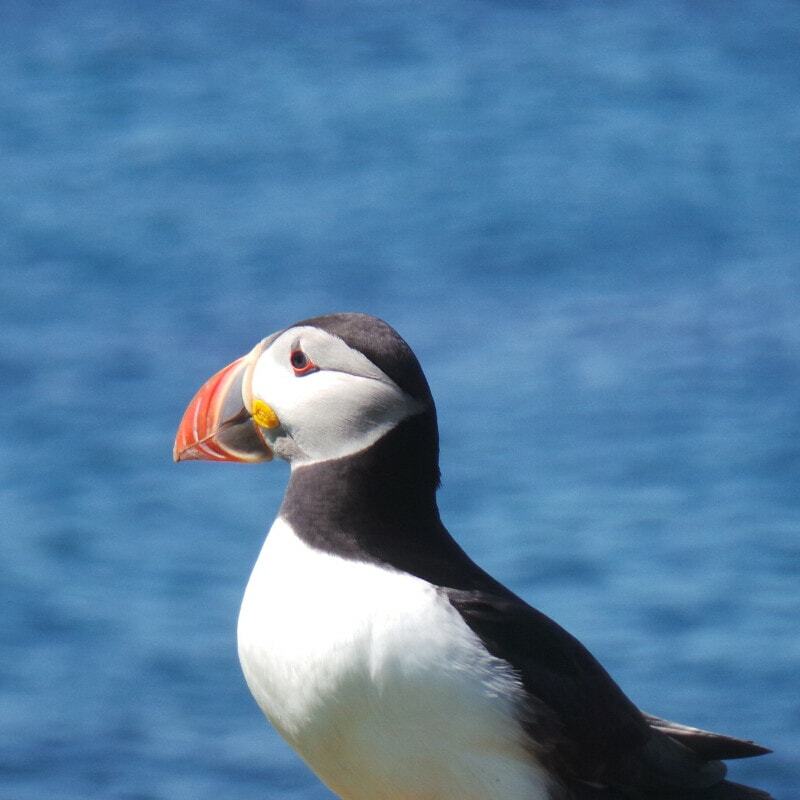 With a population of 2,800 people and an area of 338 square miles, there’s plenty of space for visitors to enjoy the island’s amazing and diverse landscape in peace. 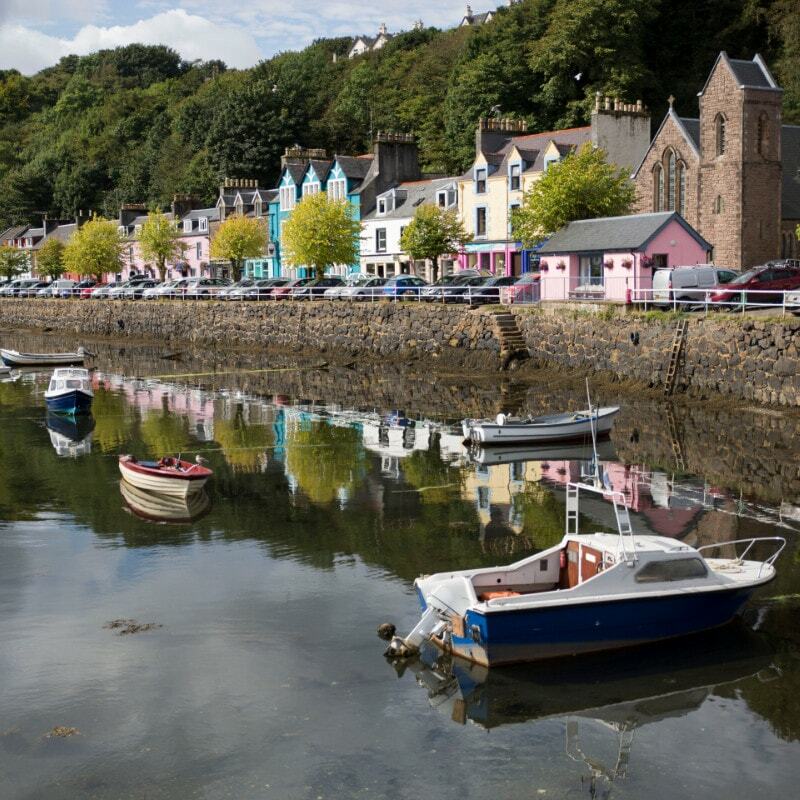 And with the island’s capital, Tobermory, being home to approximately 700 local people, there’s also lots of pristine habitat for the islands abundant wildlife. 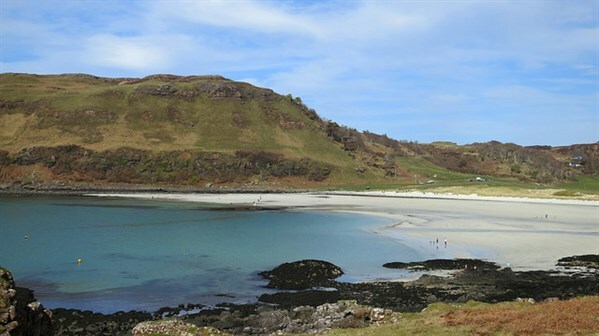 Mull is the second largest of the Inner Hebrides and the fourth largest Scottish island and is volcanic in nature with its centre formed by distinctive pyramidal mountains rising to a summit of 3,170 feet. Several peninsulas, dominated by moorland, bog and wet heath habitats, radiate out from this centre. 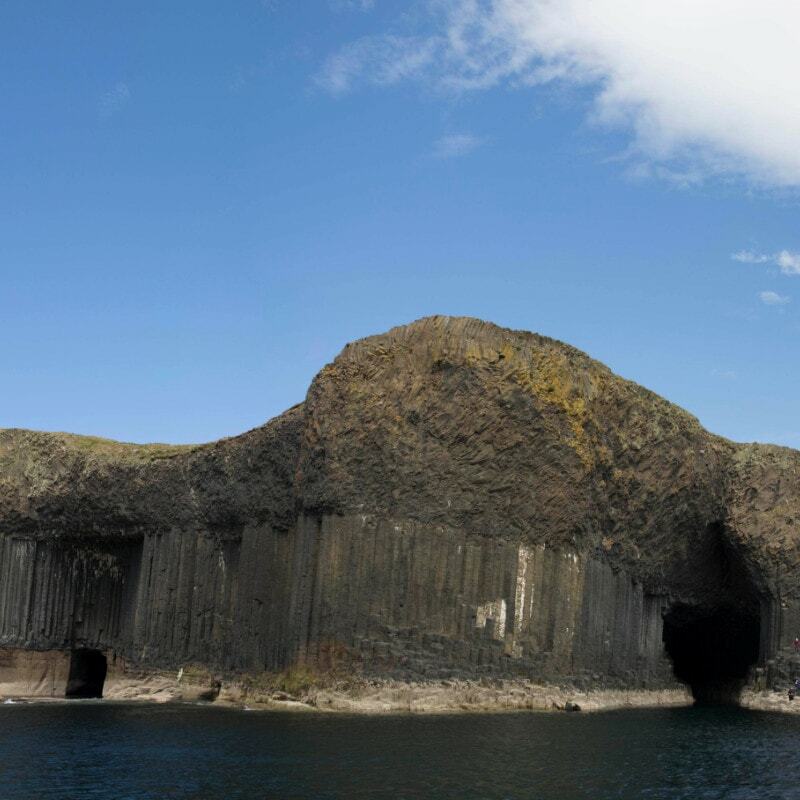 Much of the rest of the island is formed of basalt lava flows – from fissure volcanoes, million of years ago – which have formed terraced hills of open moorland and small lochans. Coniferous woodland plantations can be found today on the lower slopes above a 300 mile coastline of rocky outcrops and white sandy beaches. One such beach is at Calgary Bay and with its turquoise water and white sand could be mistaken for somewhere in the Caribbean when the sun shines. The sea lochs of Loch na Keal, Loch Scridain, Loch Buie and Loch Spelve cut deep into the island while the oak woods in the south of the island represent the largest remaining example of native woodland in the Hebrides. 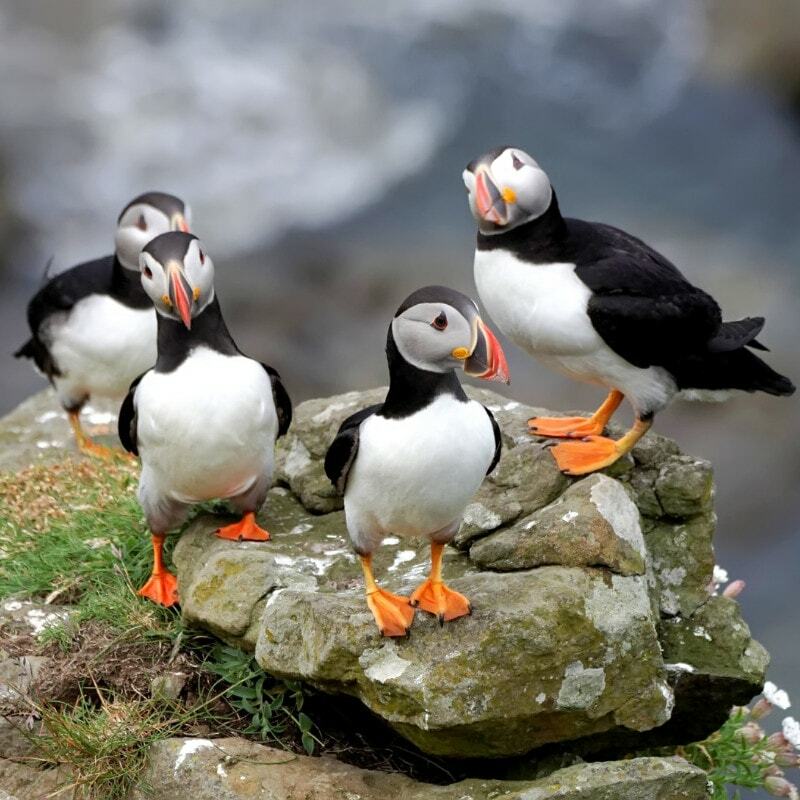 The warm Atlantic currents have a strong effect on the climate and the fauna and flora of Mull. 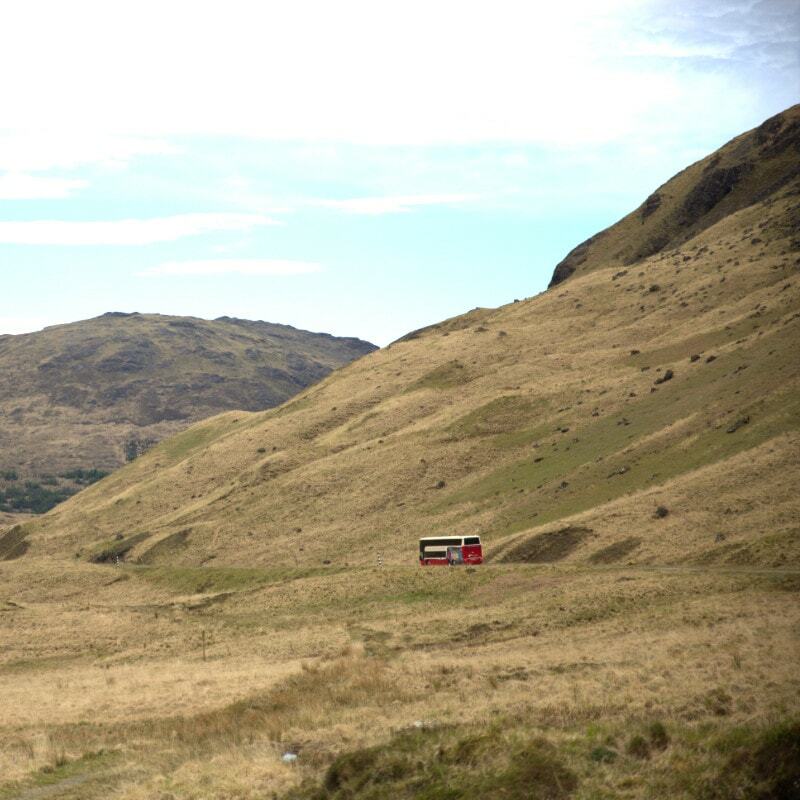 If you want to discover Mull’s diverse and beautiful landscapes yourself, take advantage of our Discovery Day Pass which gives you unlimited travel on our local services on Mull for one or multiple days – you choose how long your visit will last.